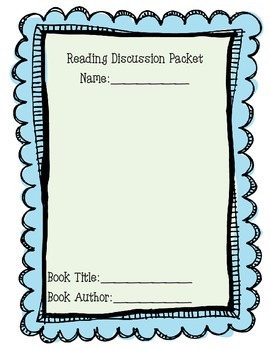 I use this packet to guide my book study discussions. I create the packets for each book. 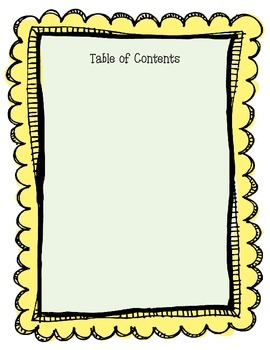 Students decorate the cover and fill out the table of contents as we read. At the end of each day's reading, students randomly select their part. 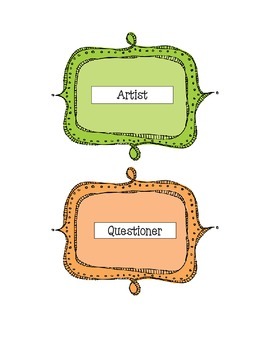 Parts include: Summarizer, character analyst, artist, questioner, word wizard. Description/directions of each part is included. At the beginning of the next book meeting we review and share each part, then begin next section of reading. My students love the variety of activities and the excitement of randomly selecting their part. 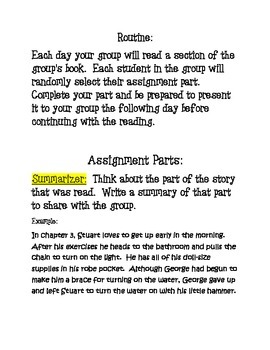 It also keeps all students accountable for going back into the text for evidence.